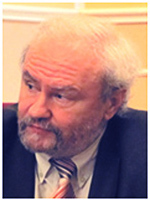 Flier Andrey Yakovlevich – Doctor of Philosophy, Professor, Chief Research Worker of Lykhachev Russian Research Institute for Cultural and Natural Heritage, Professor of Moscow State linguistic University, Coordinator of Scientific Association of Culture Researchers (Editorial Director). Astafieva Olga Nikolaevna – Doctor of Philosophy, Professor, Director of Civil Society and Social Communication Study Center in International Institute of Public Administration and Management of Russian Presidential Academy of National Economy and Public Administration, Head of Moscow Culturological Society. 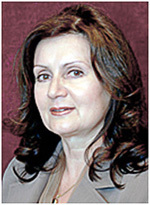 Bagdasaryan Nadezhda Gegamovna – Doctor of Philosophy, Bauman University Professor, Russian Academy of Natural Sciences member Head Department of Sociology and Humanities, Dubna University. Zhukova Olga Anatolievna – Doctor of Philosophy, Professor of Practical Philosophy Department, National Research University «Higher School of Economics». Kozyakova Maria Ivanovna – Doctor of Philosophy, Professor, Department of philosophy and cultural studies, The Schepkin Higher Theatre School under the Russian State Maly Theatre. Kondakov Igor Vadimiovich – Doctor of Philosophy, Full Member of the Russian Academy of Natural Sciences, Professor of History and Theory of Culture Department of Russian State University for the Humanities, Vice Chairman of “History of World Culture” Research Council of the Russian Academy of Sciences, Vice President and Chairman of the Scientific Board of the Scientific Research Society for Cultural Studies. Kostina Anna Vladimirovna – Doctor of Philosophy, Doctor of Culturology, Professor, Director of the Institute of Fundamental and Applied Research, Head of the Department of Philosophy, Culturology and Political Science of the Moscow Humanitarian University, full member of the MSA, Editor-in-Chief of the journal "Academic Council". Kuznetsova Tatyana Fyodorovna – Doctor of Philosophy, Professor, Dean of philological faculty of the Russian state university of A. N. Kosygin, honored worker of the higher school. Malygina Irina Victorovna – Doctor of Philosophy, Professor of the Department of World Culture, Moscow State Linguistic University. Razlogov Kirill Emilyevich - Professor, the Gerasimov All-Russian State University of Cinematography, Doctor of Arts, Merited Artist of the Russian Federation, President of Organization for Development of Research and Projects in Culture and Arts New Institute of Culturology, President of Russian Guild of Film Experts and Critics. 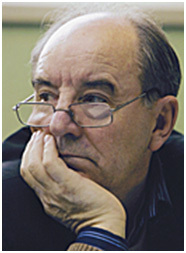 Khrenov Nikolai Andreevich – Doctor of Philosophical Sciences, professor, the S. Gerasimov Russian State University of Cinematography. Shapinskaya Ekaterina Nikolaevna – Doctor of Philosophy, Professor of the Department of Cultural Studies, Socio-Cultural Anthropology and Social Communications of the Russian State University of Physical Education, Youth, Sports and Tourism. Glazkova Tatyana Vatslavovna – Candidate of Culturology, associate professor, Language Communication Department, Gnesins Russian Academy of Music, Editor in chief. Lukyanov Alexander Vladimirovich – Programmer, creative director of web-design studio RA-Svet, Head of journal IT Center. Yasinskaya Milena Borisovna – Candidate of Philology, the associate professor, professor of department of foreign languages and linguistics of the Moscow humanities university, the editor.